Judith Britton Investigations’ Lost Pet Tracker provides Pet Recovery Services throughout the West & Pacific Northwest. From our offices in Murrieta, CA & Boise, Idaho we routinely travel far & wide as we provide Individualized Consultations, On-Site Investigations & K-9 Searches. Explore our website, then call (951)440-7456 so we may discuss the details of your case. Pet Owner Education is vital in the recovery of missing pets. Work smarter, not harder so that you will be able to create a sustainable search. It often takes weeks to recover a missing pet, so don’t give up until you have exhausted every avenue available in tracking down you pet! 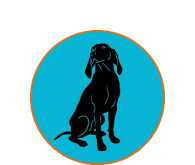 Our Pet Transportation page features the specifics of our reliable pet transport services. Visit the page to see our animal transportation options, which are personalized for the needs of each situation.